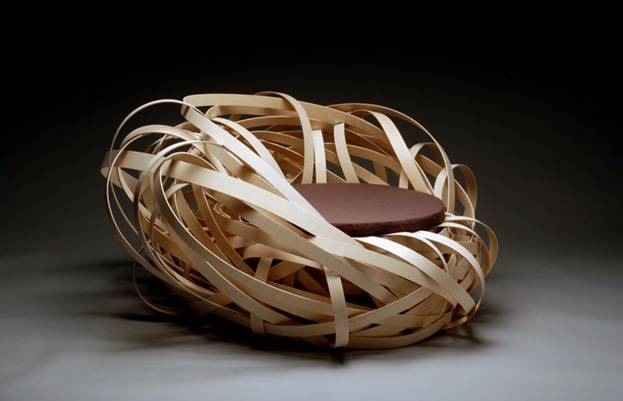 Contemporary furniture has always intrigued me. 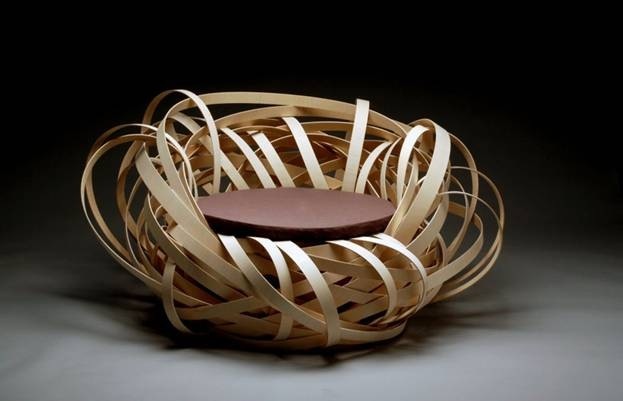 Often you find a piece that seems to defy the laws of gravity, common sense, etc. 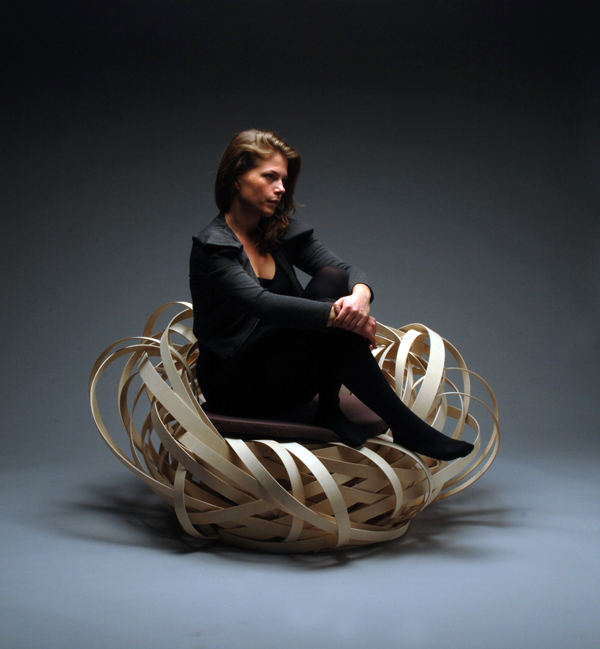 The Nest Chair by Nina Bruun is certainly one of those pieces. 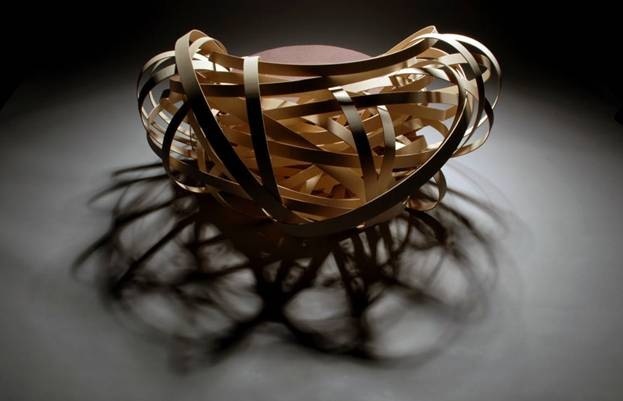 For some reason, all I can think about is sitting a disk on top of a pile of rubber bands. Ha! Would it fit in at your place? Let's here some feedback! It would definitely work in my house. I feel itchy and uncomfortable suddenly. And I want to go over to Bob's blog and shoot rubber bands at office targets. Thumbs down. Put her back in her nest. Raina- Of course it would, dear- Happy weekend to you, too! Arne- I can honestly say that I've never had it... seen it though and yes, I agree. It probably would fit quite nicely into the furnishings in my home. However, it makes my back hurt just looking at it. How could that possibly be comfortable and ergonomic? I think I need to make a chiropractic appointment just thinking about sitting in that 'chair'. It's interesting, but doesn't look very comfortable. And it definitely wouldn't fit anywhere in our house. Sherry and Kelly- Couldn't you see me perched up on that little disc of a seat? !